WellsTrade is an online and mobile brokerage platform launched by the American financial services giant Wells Fargo. It allows the users to access Wells Fargo Banking and Broker services along with a stock trading solution. It is quite a convenient option for those who have an existing relationship with Wells Fargo Bank and also for occasional traders. However, serious traders who want a top-of-the-line platform for online investment may find it unsatisfactory. Wells Fargo can boast of a customer deposit of over $1 trillion. It offers a wide array of services from investment services and conventional banking services to mortgage origination. 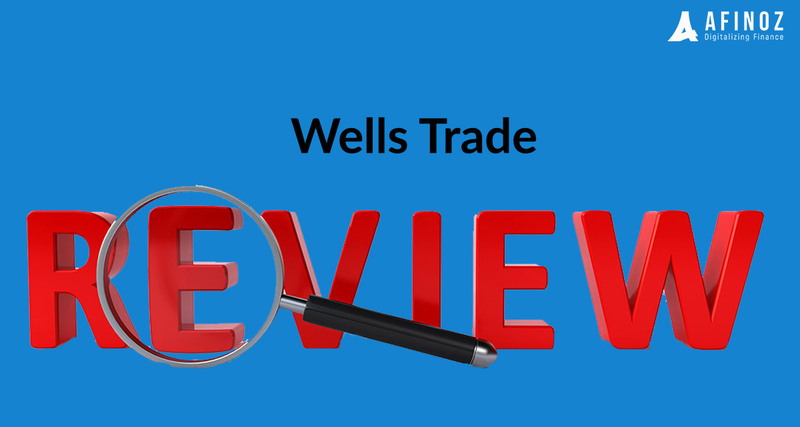 WellTrade is the online platform of Wells Fargo. In the first look, it may seem strange that, with that kind of a financial pedigree, the WellTrade platform does not quite have the brand presence as yet. However, a close look at the platform will tell us that the platform lacks external marketing, only by design. In fact, WellsTrade maintains itself as a niche product, both in pricing structure as well as in tools and it serves really well for loyal customers of WellsFargo. It shows that WellsTrade is an add-on product and is not competing in the mainstream marketplace, like any other ordinary broker. This platform does everything (more than everything, at times!) an online brokerage system should do, even if it’s not a flashy one. It simply projects itself as a part of the overall financial profile of a sprawling financial giant, and it goes well with its customers. The WellsTrade brokerage platform works the best for investors who depend on Wells Fargo for their asset management and banking needs. Investors who look for sell-side recommendations and analyst research may also find WellsTrade useful. But the platform will largely disappoint serious traders and active investors looking for high quality and low-cost tools. Let us find out more about what benefits WellsTrade offers and where it lacks. Invest in IRAs, stocks, options, bonds and mutual funds. Choice of more than 1,200 mutual funds that require no transaction fee. Several layers of protection against broker insolvency, custodial failure, and other losses. Easy to use interface; convenient navigation. Support of over 19,000 registered representatives and 14,000+ financial advisors. More than 250 analysts and economists generate in-house research. WellsTrade does not have dedicated desktop platform. Excellent interaction between banking and brokerage arms of Wells Fargo. Easily available live telephone support. As we can see from the table above, customers who link their account with the Portfolio by Well Fargo can get a competitive rate. They get the $30 monthly account fee waived off if the account balance exceeds $25,000 and if it exceeds $100,000, they may qualify for the Private Advisory Group on WellsTrade. For others, however, this platform is costlier as other cheaper and quality brokerage firms are available in the market. Also, for penny stock investors, WellsTrade is quite expensive. A hard copy of documents is required to be sent via mail to activate a trading account which can be quite a hassle for many users. It is completely on the web and the pages take a while to load. It is more of a banking app than a trading app. Slow response of the website may put off many active investors who would like to trade in a fast-paced trading environment. There is no hot click functionality on the charts so the user has to navigate back to the ‘buy and sell’ page after reading a chart. There is no online chat support and on top of that, you may have to dig for finding the email customer support as well. There is good research material available but the investment education content on WellsTrade does not really help with the actual workings of stocks and associated risk. Q. How is the trading experience at the WellsTrade platform? - With the WellsTrade platform, investors can place orders for ETFs, mutual funds, stocks and single-leg options very easily, but it does not offer OCO, OCA or other advanced order types. However, investors can use standard limit, stop and market orders. The simple and manual order entry process may seem repetitive for experienced and active investors. Being a web-based platform, the delay in navigating between pages, at times, makes the order entry a bit slow. But, the investors can have a lot of options in the order entry window. The portfolio tool can be customized only to some extent. Investors cannot opt for complex order entry options such as basket orders/staging and they cannot do chart-trading either. All in all, it’s a useful platform to have if you do not do frequent trading and it will also give you a useful link to the banking and advisory services of Wells Fargo. Q. Is the trading platform at WellsTrade user-friendly? -The users will find it easy and quick to set up an account for the first time. Margin approval and receiving options may take a bit of time but additional paperwork is very little. The setup process is online , immediately followed by an email confirmation. Navigation is easy from most of the pages to an order ticket. Only a few functions in the platform can be customized to preferred layouts. Portfolio Tracker is one such customizable feature, but it exists separately from the online brokerage site. Q. What is the trading technology of WellsTrade all about? -There are not many stand-out technological features available at WellsTrade. The quotes in order windows need to be refreshed manually and quotes are also delayed somewhat. This platform accommodates account holders having particular order-routing requests but the overall trade execution process is a standard one only and will not fascinate active investors. Order flow payments in the platform are processed through clearing firms such as Citadel and Apex. This may invite a conflict of interest and hence, it may increase the indirect costs of trading in this platform. Q. How efficient is the WellsTrade customer support? - WellsTrade provided 24/7 customer support with minimum hold time. The customer service representatives and brokers are knowledgeable and professional. But, online chat support is not available on the WellsTrade platform. Other special features such as the stock loan program are also not available. One advantage of WellsTrade is that it is associated with Wells Fargo and its well-spread branch office network. But, all these branches do not have brokers and in-person support may not be available in all locations. WellsTrade is quite a convenient and efficient platform for those who would like to buy and hold. It also meets the comprehensive banking needs of Wells Fargo customers. However, it does not work too well for extremely active traders because of the out-of-date procedural requirements and slow and no-frills interface. There are several other mobile brokerage platforms that offer better and faster services at similar rates.